COMMERCIAL KITCHEN DEEP CLEANING services, we provide a quality kitchen deep clean service tailored to your requirements from the cleaning of cooking items to full kitchen deep cleans without upsetting your own working schedule. 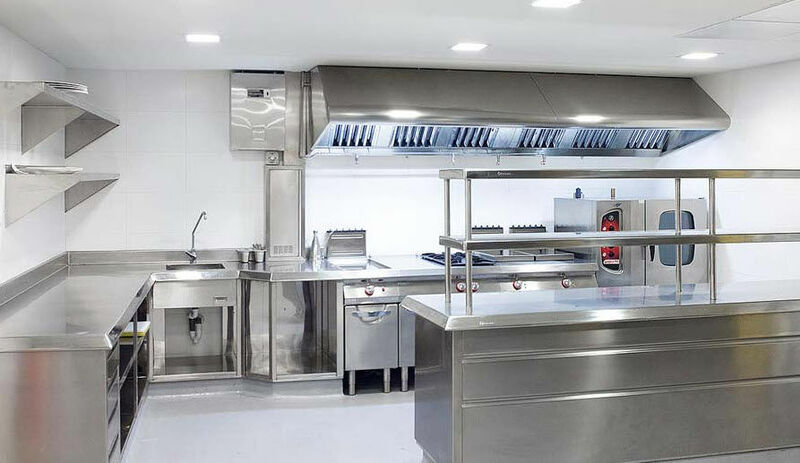 Companies working within the catering sector understand that their own daily cleaning will not eliminate all build up of dirt, grime and bacteria and rely on a professional company to completely deep clean their kitchen and catering facilities to combat these problems. We recognise the importance of providing a clean and hygienic place of work for your employees, and aim to give a lasting impressions of a fresh, clean working environment for all your visiting clients and customers. Insurers are demanding that kitchen deep cleaning should be carried out in accordance with the Building & engineering services association (formerly HVCA) standard TR19 and only contractors who can comply with this specification should be retained. Ocean Industrial Cleaning, as members of the B&ES carry out all deep cleaning services in accordance with this specification. Our surveyors are fully trained in all aspects of Kitchen Deep Cleaning. This provides them with ‘Hands on’ knowledge and experience required in guiding the client of the type and frequency of the service they may require. Following each kitchen deep clean, Ocean Industrial Cleaning Limited will provide the client with a Hygiene Certificate for the client to display on site and if required the information regarding the cleaning specification, risk assessment, method statements and COSHH details.